Retirement is either here or just around the corner for baby boomers, and many are financially unprepared. 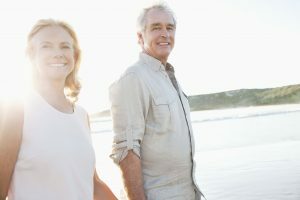 Baby boomers will need about $658,000 in their defined contribution plans by the time they retire, but the average in those employer-sponsored plans is $263,000, according to a survey of 900 investors. Older boomers have an average of $300,000. The asset allocation for all of their investments is also conservative (30% cash, 24% equities, 22% fixed income, 4% non-traditional assets, 8% investment real estate, 2% precious metals and 8% other investments). Americans in general are drastically under-saved for retirement. There are many reasons why people may not have enough for retirement, and not saving enough was the biggest regret among older Americans. Generation X (born between 1965 and 1981) isn’t doing much better, although they have more time to reach their goals. More of them have a defined contribution plan, with an average of $199,000 stashed away for a goal of $541,000 by retirement. They are also investing conservatively (25% cash, 21% equities, 17% fixed income, 11% non-traditional assets, 16% investment real estate, 7% precious metals and 4% other investments). Aside from having a plan in place to save for retirement, baby boomers should reconsider portfolio allocations. Though the standard theory is to reduce exposure to stocks as a person gets older, some say it’s best to keep most of their portfolio highly exposed to equities, especially since they’ll likely live longer and need that income in the future. Does this mean investment in the homes they are living in.